Roma has worked in and around the criminal justice system since 1992, when she was asked to help set up Britain’s first prison radio station at Feltham Young Offenders’ Institution. She has a Masters in Criminal Justice Policy from the London School of Economics, is Chair of the Griffins Society (supporting women in the criminal justice system), Vice-Chair of the Foundation Training Company (which runs a series of prison and community based resettlement and development programmes) as well as Chair and Founder of the Prison Radio Association. In 2009 she launched Make Justice Work, a campaign to highlight the cost of short-term prison sentences and to improve public confidence in community sentences. Peter joined Make Justice Work as Deputy Director in April 2012 and has a background in public affairs, politics and media relations. For nearly three years he worked as the Senior Parliamentary Officer for Mencap, the UK’s largest learning disability charity and worked closely with the charity’s President, cross bench Peer, The Lord Rix Kt CBE DL. From 2002 – 2009 he was a Councillor on Bedford Borough Council, during which time he was appointed the Cabinet Member for Sustainability and from 2005 – 2009 he was also a Councillor on Bedfordshire County Council. Professionally, Peter has worked in Parliament as a researcher to an MP, a Media Officer to Members of the European Parliament and in the Press Office of Conservative Central Office. David Barrie spent the first part of his career in the Diplomatic Service and the Cabinet Office. As well as dealing with Africa and the USA, he was closely involved in the negotiations that resulted in the Anglo-Irish Agreement of 1985, which paved the way for the eventual Peace Process. In 1989 he was appointed Executive Director of The Japan Festival 1991 – an ambitious nationwide celebration of Japanese culture. In 1992 he became Director of The Art Fund, the leading art charity, and organised many campaigns to secure major works of art for public collections. As a lobbyist, David played a leading role in the successful campaign to persuade the Government to restore free admission to all national museums and galleries. He left The Art Fund in 2009 and is now an independent writer and consultant. David studied Experimental Psychology and Philosophy at Oxford University and is an expert on the work of John Ruskin and a trustee of the Ruskin Foundation. Susanna has had experience of the public, private and voluntary sectors in a broad range of roles – Executive Chair, Vice-Chair, Advisor, Trustee, Director, Consultant and Chief Executive. Her work has encompassed campaigning in paediatrics, maternity services, disability, child mental health, social services and education to improve services. She has developed many organisations including BLISS (as founder Chair) to support neonatal services throughout the UK. Susanna’s most recent full-time role from 1995-2007 was as Chief Executive of The Who Cares? Trust, a national charity working to improve public care for 60,000 children and young people in the UK. 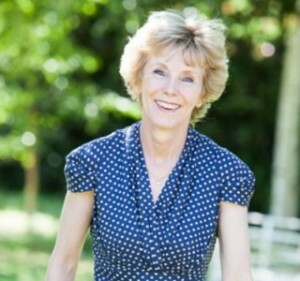 Through researching the views of young people, working in partnership with other stakeholders and parliamentary and media campaigning for new legislation, policy and practice across education, health and preparation for independent living, she expanded the organisation’s vision, role and influence to improve the way care is delivered. Most recently Susanna has undertaken additional consultancy projects to improve policy and services for vulnerable children and young people. Jon joined BT in 1988, qualified as an accountant, and worked in a number of areas, including the International division, Corporate Strategy, Broadcast Services and the Business Customers Headquarters. In 1997 he moved into BT’s Small & Medium Enterprises division where he was Director of Marketing. In 2002 he joined BT Redcare as CEO. In this capacity, Jon took the business to well over £100m turnover through both acquisition and organic growth. 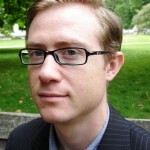 In 2005 Jon became Director of the Equality of Access Office and then subsequently Director Group Regulatory Compliance. In April 2009 Jon was also made a non-executive director of the Western Sussex Hospitals NHS Trust. Linda has had over 30 years experience in UK and international fundraising working with environmental and children focused charitable and not-for-profit organisations. Recent positions include 8 years as Development Director at the Eden Project and 6 years as Chief Executive of the International Youth Foundation in the UK. Her expertise includes developing funding strategies, planning fundraising activities, advising on donor research, high level donor acquisition, managing donor relationships, event planning, brand development, marketing and sponsorship.